Twinkle Star Sprites developers interview. This lengthy interview with the ADK developers behind “vs. shooting” classic Twinkle Star Sprites covers all aspects of its design, including the game mechanics, programming, and character/art design. 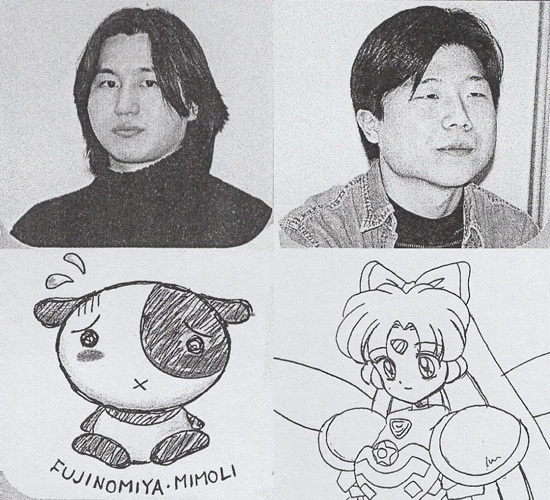 I’ve also added some of the concept art that was featured in the interview, which contains extra commentary from designer Fujinomiya. 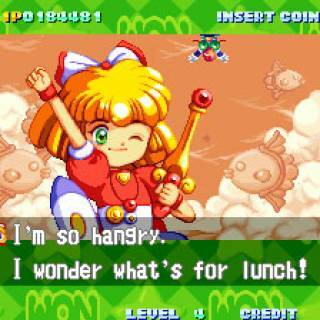 ● Please start by telling us what parts of Twinkle Star Sprites you were involved with, and any past games you’ve worked on. 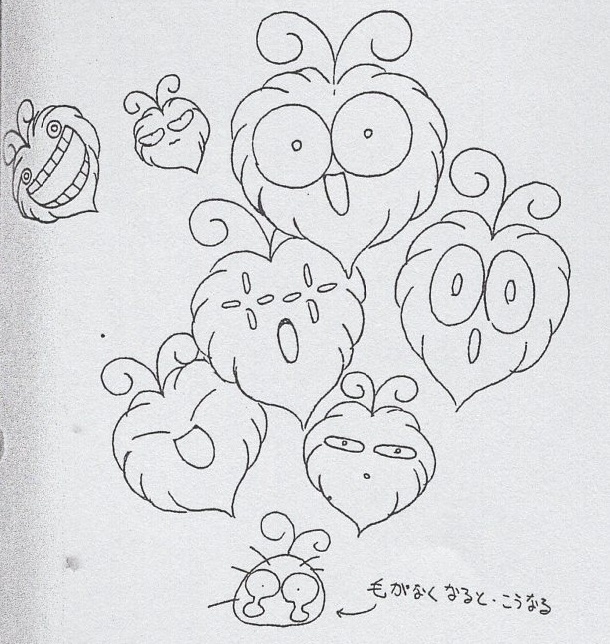 Matsushita: I worked on the planning and original game design. 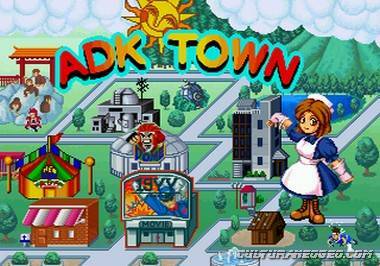 Before this I did the Neo Geo CD game ADK World. This is my second game. Aomatsu: I did the main programming and balancing, and I gave concrete form to Matsushita’s planning ideas. 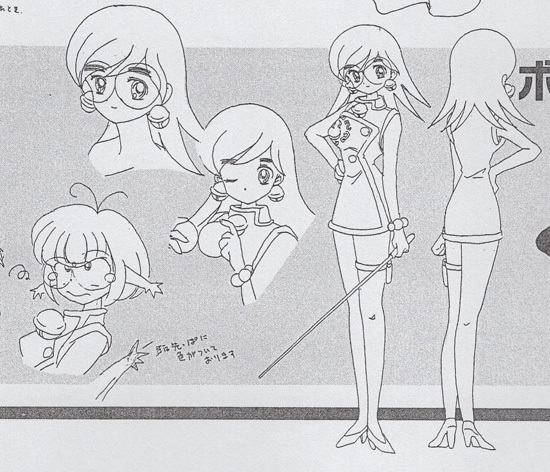 Fujinomiya: I did the character design and illustration. 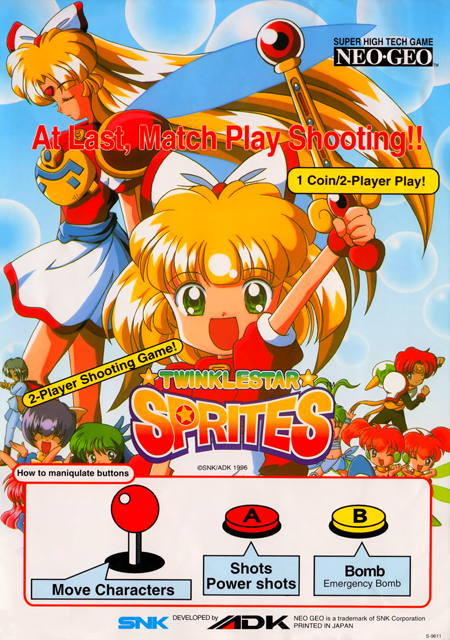 ● Twinkle Star Sprites represents a brand new genre of “competitive shooting.” How did you come up with the idea to create a game like this? Aomatsu: All games contain an all element of competition, but in STG, that competition is limited to scoring. Instead of some short caravan level where you see how many points you can get in 2 minutes, I wanted there to be some other way where you could clearly gauge the skills of players and see how good someone was. 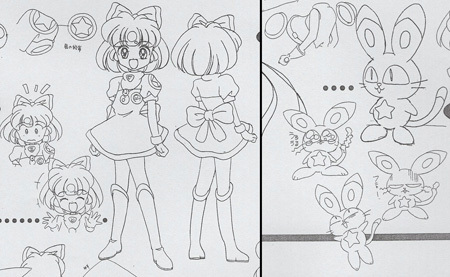 ● Was Twinkle Star Sprites designed as a “vs. shooting” game from the beginning then? Aomatsu: Yes, that was the very first thing we decided. The specific gameplay system we came up with afterwards. I put a lot of energy into drawing her and I think she came out well. 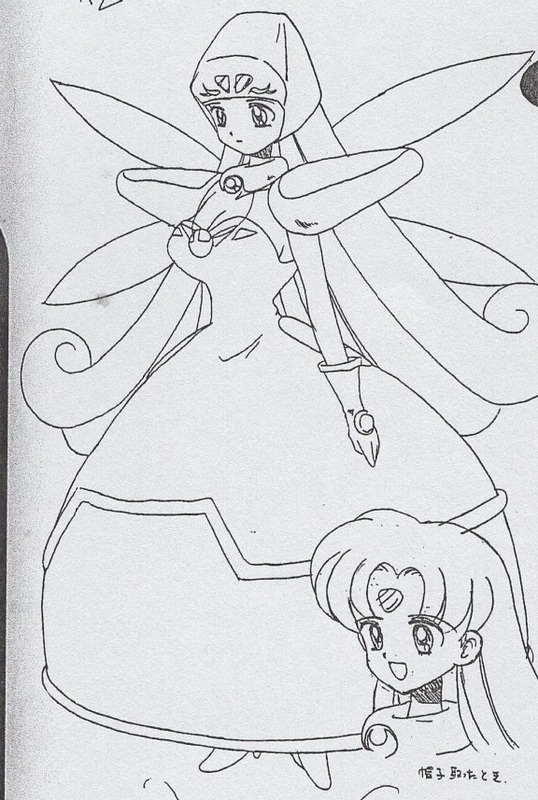 actually wasn’t copying Sailor Moon on purpose.” (Fujinomiya). ● I do seem to recall that a long, long time ago, there was a competitive STG game played on an old table-style cabinet, where the two players sat across from each other… why did you opt for a split-screen instead of something like that? Matsushita: There were restrictions with the Neo-Geo hardware, so it wasn’t possible to make a game like Virtua On which used two individual monitors. Aomatsu: We considered a split-screen horizontal STG, but in a standard hori, the screen normally scrolls from left to right, so the player who has to scroll the opposite direction would be at a disadvantage. You would have had the same problem on a vertical STG too, actually, with one player facing downwards. We wanted the system to be equal for both players. Matsushita: In any event, the decisive factor was the Neo-Geo, which can’t do tate (vertical) orientation. Fujinomiya: With those early screen format concepts decided, for the characters I suggested that we try using something other than fighter planes. We asked ourselves what else a character could “ride” on… there were a lot of ideas: pencils, rockets, dragons. ● In Twinkle Star Sprites, shooting enemies sends bullets/attacks to the opponents side. Was that gameplay mechanic something you had from the start, too? Aomatsu: There was actually a great deal of trial and error before we settled on the “chain explosion” system. Aomatsu: There was even one mechanic where you “captured” enemies and then sent them to your opponent’s side. We had lots of ideas. But being a STG game at heart, we didn’t want to make the puzzle elements too complicated, and instead opted for a system that was easy-to-understand, light, and fun. Matsushita: So we realized that was no good, and started over from scratch. Aomatsu: The one thing I knew I really wanted to do in TSS was to let the player move around their screen freely. That would allow you to actually be able to dodge the attacks your opponent sent. In other competitive puzzle games, like falling-block games, for example, you lose when the blocks fill up the screen; there isn’t actually a set way to specifically attack your opponent and make him lose immediately. If I wanted to change that, I knew that the player in TSS needed freedom of movement—something seemed unsatisfactory about having him stuck at the bottom of the screen, only able to move along the horizontal axis. I also thought about environmental hazards, like blocks that would fall and restrict your movement (or even damage you if collide with them). But then I realized, isn’t that the #1 most annoying way to die in a STG, by running into a wall? So I temporarily abandoned those ideas and instead renewed my focus on pursuing fun STG mechanics. ● How exactly did you come up with the “chain explosion” system, then? Matsushita: It sort of came all at once in a flash of inspiration. (laughs) Everyone was trying to come up with something that was “easy to understand but deep.” Actually, we had thought about using the “chain explosion” system in another game, but once we tried it in TSS, we were amazed at how well it worked. As soon as we saw it we knew, “this is it!” But getting the “chain explosion” system into the finished state you see today took much longer, and was a lot of trial and error. Aomatsu: I think we made over 10 different versions of this system. The first demo version took us about a month to make, but there were a lot of complaints from people at ADK who played it. So we scrapped that, and it was this “chain explosion” system that we came up with then, after many struggles and having to start over from scratch. Aomatsu: If Matsushita hadn’t come up with that system, it might have been the end of this project! ● How long did TSS take to develop? Matsushita: I think the actual work took about 8 months. I drew. I took it easy–with the coloring too.” (Fujinomiya). ● Seeing as TSS is an entirely new type of game, I imagine there was some resistance at ADK? Aomatsu: Yeah. As you said, it was a kind of game no one had seen before. And at first we were determined to buck all conventions: for example, we were going to make the character select screen be a random roulette wheel, and it would pick your character for you. (laughs) In the finished game, the way the characters are arranged in a wheel on the character select screen is a remnant of that idea. Of course once we started coming up with distinct abilities for the characters, we realized a random selection wasn’t going to work, and we changed it. ● The characters in TSS are also a little different from what you usually see in an ADK game. It seems like you guys really got into creating them. Do you have any favorite characters? Fujinomiya: Rabbicat for me, hands down. He’s kind of like the mascot. 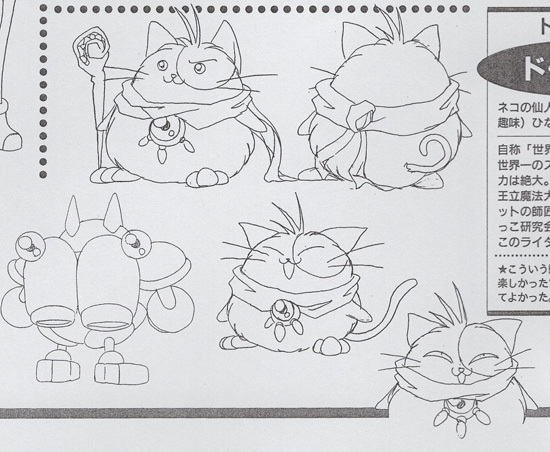 But he’s completely useless, despite his constant gloomy chattering… I guess I modeled him after myself. (laughs) So I have a lot of attachment to him. I like the little details in his backstory, like how he hates carrots but likes fish. I also like Really Till. That’s because the idea for her came to me so quickly, unlike Load Ran, who took a lot more work. Aomatsu: We did end up making minor changes to many of the characters, but overall almost none of them had to be discarded. ● The backstory and setting for TSS is also very detailed. Fujinomiya: A lot of the details of the story and world were done by T-san in marketing, actually. I created very little of that, just the bare minimum I needed to get started with the characters. 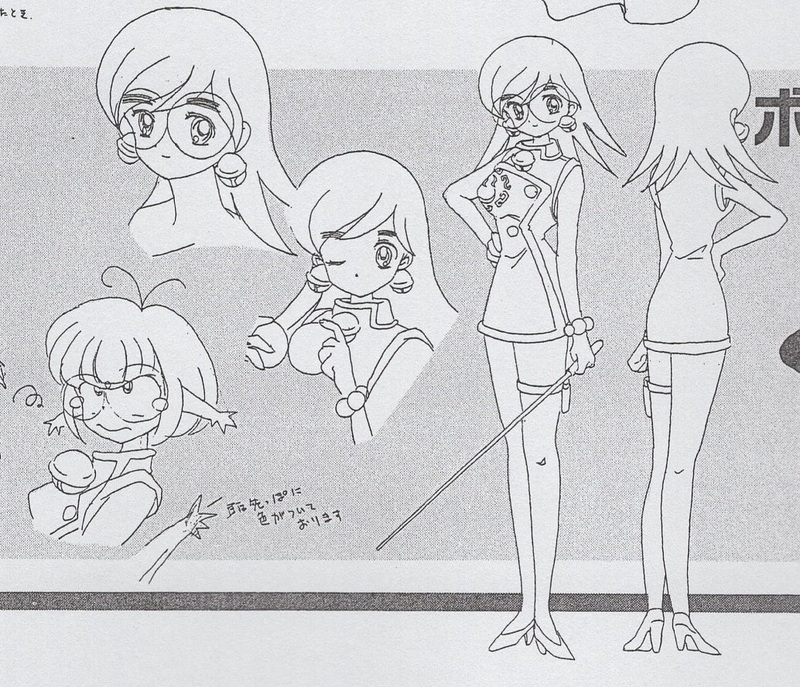 Concept art for Kim. “I really had fun drawing this kind of animal character. The voice actor fell in love with him too. Too bad he’s such a weakling…” (Fujinomiya). ● And Aomatsu and Matsushita, who are your favorite characters? Aomatsu: I like them all, but maybe Yan Yanyang is my favorite. In the beginning she rode on a flying lion, but at some point that lion got downgraded to a pig. (laughs) Since Yan Yanyang is supposed to be a wild savage, I imagined her hair being all tousled and poofy, but they went in a different direction for that “wild” image. Among the developers we call her “palm head”, since her long hair looks like palm fronds to us. Aomatsu: We spent a lot of energy trying to come up with distinct personalities and victory dialogue for each character too. Thinking up 13 different attacks and allocating them all was quite a task, too. ● By the way, for Tinker and Linker… which one is Tinker, and which is Linker? 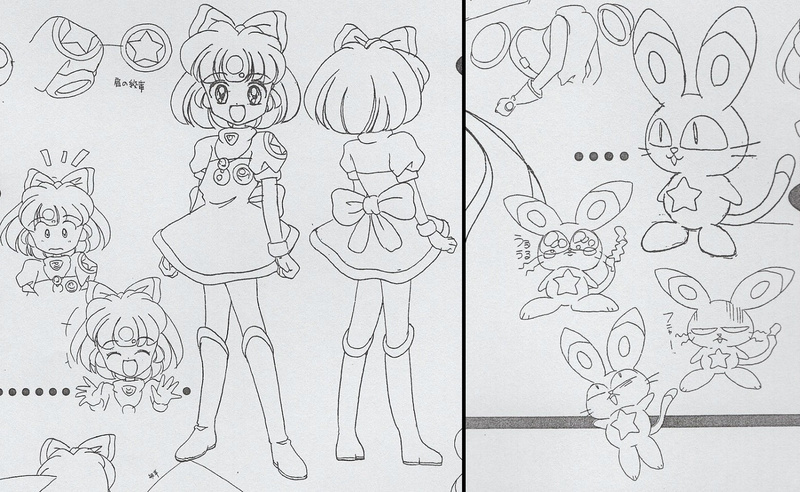 ● Some other details I really liked were Load Ran’s magic joystick, and Queen Memory’s computer mouse. Aomatsu: We realized it would have been too crazy though, so we dropped it. Fujinomiya: Light-heared stuff like this isn’t something ADK usually does though, so it was difficult getting it all accepted. Fujinomiya: No, we had an intentional ban on that. In a different game, it’d normally be no problem, of course. (laughs) But we wanted to make something with these kinds of graphics. Aomatsu: Graphically speaking, we’re doing some new things in this game, layering colors on top of each other. The Neo-Geo can only use 16 colors, but with this “doubling” method we’ve managed to create something very colorful. Fujinomiya: I also remember ADK asking if certain characters would be ok.
● Is there some condition that affects how long boss attacks last? Sometimes they’re over really quickly, and sometimes they last awhile. ● I’ve heard that the characters all go to the same school. Is that in the backstory somewhere? Fujinomiya: There’s the “Wonders Magic Academy,” and Really Tail and Yan Yanyang are elementary students there. Load Ran is very bad at magic, but good at sports. Their teacher is Chinese, and the Principal is a Panda. (laughs) In the high school section of the Academy there’s Tinker and Linker, and Arthur, who’s popular with the girls. He doesn’t date any of them though—he’s more interested in Load Ran. ● What were some of the challenges you faced in balancing the characters’ different abilities? Aomatsu: Yan Yanyang was especially useless at first, and we had to make a lot of tweaks to improve her. Another big challenge was getting the timing right. When you send an attack back to your opponent, and then he shoots it and sends it back to you, etc etc, if the shots are sent back too quickly or too slowly, then it doesn’t work: you want it to be like playing beanbag or hackeysack, and timing is key. That was true for balancing the chain explosion system too. The person working on it had to carefully adjust the hit box of the explosions to make sure the timing made sense. We were really careful about in particular. Matsushita: We were still worried whether it would go over well with players though. But when we demo’d it at an arcade expo, people couldn’t pull themselves away from the game. There were always players on it. We were very grateful. 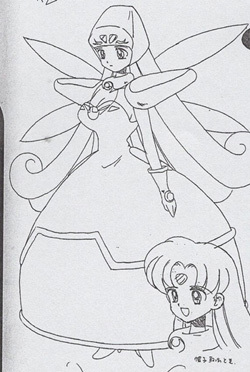 Really Till concept art. 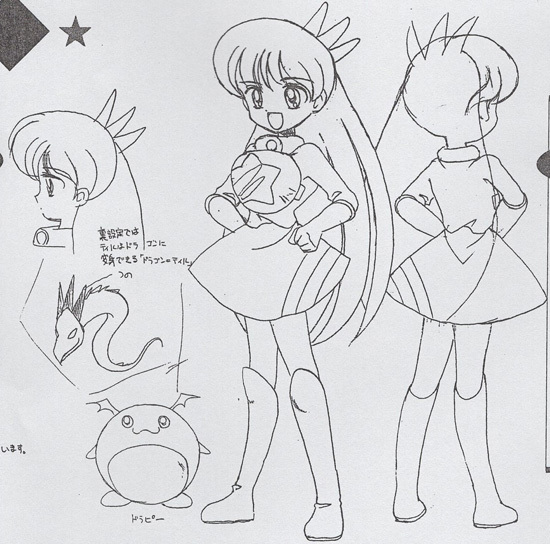 “Her name comes from ‘reality’–as in, Load Ran is a fictional protagonist, but Tail is a REAL hero. ● It’s popular with the staff here at Gamest too! People play it so much they ignore their work. We’ve sometimes had to take it out of the cabinet and lock it away. ● I also like that you’re sitting right next to your opponent when you play. Matsushita: Yeah. Arcade games where you can’t see your opponent because he’s sitting at another cab aren’t as fun to me. You don’t get that back-and-forth banter with your opponent. I think that’s kind of the essence of a competitive game, you know? I prefer vs. fighting games to be setup like that too. We investigated this problem as thoroughly as we could, and we ended up using fuzzy logic for the calculations. Gradually we were able to work it into something that felt natural. Once we trained it to dodge attacks in a circular motion, we realized we were getting somewhere. Matsushita: As Aomatsu says, figuring out the AI was a nightmare. I actually went down to our local used Famicom vendor at one point to look for help. I found a game there that said (on the box) that it used AI to determine how enemies dodge. ● What are some of your personal hobbies? Matsushita: I like movies, Tim Burton especially. make a later appearance in the console port as a bonus character named Meirin. ● What are some of your favorite games? Aomatsu: Shiren the Wanderer for me. There’s very few games you can enjoy over and over like that. Fujinomiya: Virtua Fighter is unforgettable for me. When I first saw it, it made me feel what a great era we’re living in for video games. Matsushita: It’s hard to pick just one. I love Gain Ground. I didn’t really know what was going on the first time I played it, but once someone explained it to me I saw how fun it was. If I’d never touched the game again because I didn’t understand it… man, I would have really missed out. ● Yeah, there’s definitely games out there where you have to spend some time learning them before they become fun. Matsushita: Lately there haven’t been many of those complex games. If it’s hard to get into, most people will just quit before they learn it. 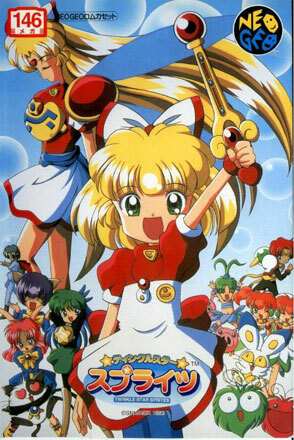 ● Have you thought about a sequel for Twinkle Star Sprites, or perhaps exploring a new genre with the next entry? Matsushita: Yeah, if we made a sequel, I would want to explore a different genre. I can’t really see doing an action game or something traditional though. If anyone out there has ideas or suggestions, please send them to us! ● What kind of game would you like to make in the future? Aomatsu: Any genre would be fine for me, really. 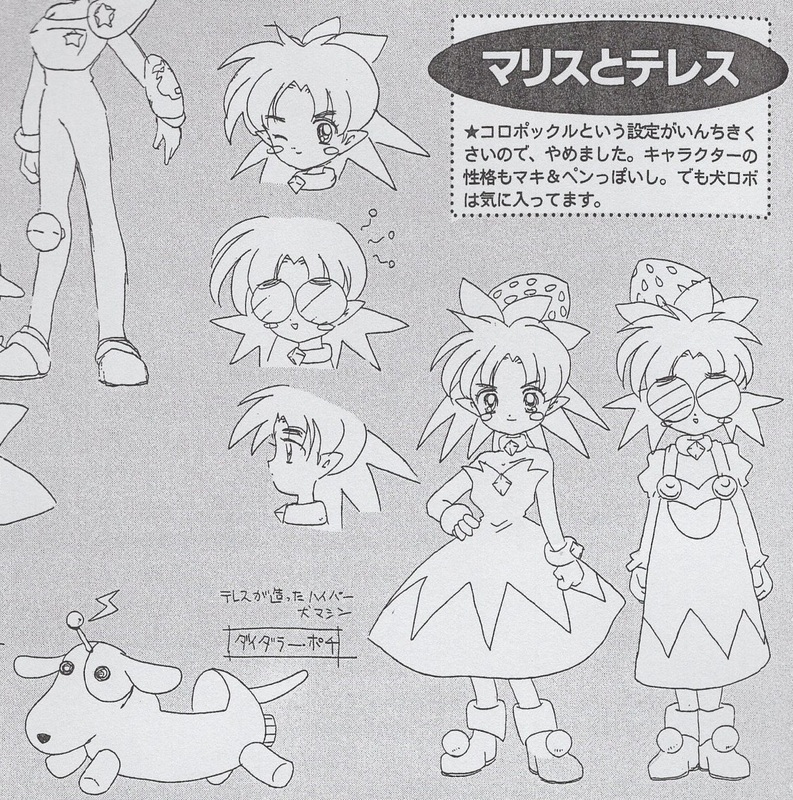 When I was shown the plans for Twinkle Star Sprites, I got really excited about making this game. What’s important to me is making a game that will be exciting for people to play, and exciting for us to make. Matsushita: I’d like to make a game that uses AI. Something that makes you feel like an actual human is there playing beside you. ● Please give a final message to your fans. Aomatsu: Whatever you do, be sure to try playing Twinkle Star Sprites head-to-head! I hope you bring your friends down to the game center for some group sessions! Fujinomiya: Please give your love to these characters. Matsushita: Thank you for your support you’ve shown us. A console port depends on you! 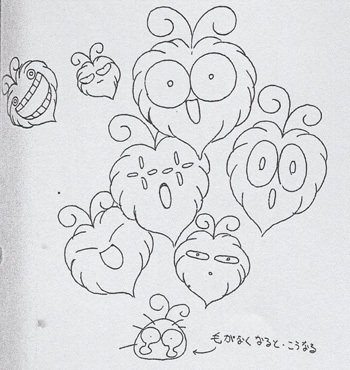 “These were characters looked too much like ripoffs of the koropokkuru, so I abandoned them.